Peter is regarded as an expert on issues effecting sustainable development (including business) throughout Africa, as such, his workshops; motivational presentations and keynote addresses are sought after at many people-driven summits, external workshops; in-house training and other events. Furthermore, Peter is somewhat in demand to professionally chair (programme director) local and international conferences and has developed a reputation, throughout the conference industry, as a chairperson of note. Peter is also renowned as a candid, yet flexible, facilitator for private sector and public sector Strategic Planning Workshops.. Ultimately these topics inevitably lead to Leadership Development, which is essential when confronting never ending challenges. As Project Quality Assurance Engineer, during the construction of a number of coal-driven power stations in South Africa, Peter was exposed to most trades and professions within the construction industry. This exposure was enhanced when Peter had to develop quality monitoring procedures used in the construction process. In 1986 Peter was presented with the challenge of being part of an eco-sensitive development, namely Featherbed Nature Reserve in Knysna, Western Cape Province, South Africa. This invitation resulted in Peter and his family relocating to the Featherbed Nature Reserve in Knysna. His underlying vision and passion of “serving” and “connecting” Africa, led to the ‘birth’ of Info Africa in 1992. This concept of connecting information centres throughout the continent was somewhat a “premature” version of the current Internet. Africa was just not ready for the information era! 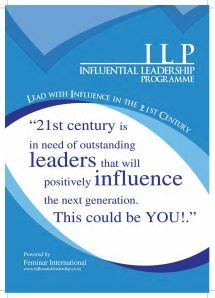 After relenting on this “premature” information concept in 1996, Peter returned to empowering and capacitating others consulting to the then Northern Province (Limpopo) Department of Housing (South Africa). Here Peter designed quality procedures to be used in monitoring the construction processes of subsidised, low-cost housing. A much needed process that may have impacted significantly on the quality of life expected by the beneficiaries. This association with the Department of Housing resulted in Peter being requested to assist with the relocation of the Ga-Pila community in the Limpopo Province. This massive relocation project, due to Anglo Platinum mining expansion, provided Peter with unparallel expertise leading to successfully completing an intensive training session on Local Government Assessment at the CSIR – Pretoria in 1998. Peter now holds a title as an Accredited Assessor for the South African Business Excellence Foundation. This knowledge he now shares with others. His passion to address sustainable development needs in Africa became an obsession. In 1999 Peter established The Foundation for the Development of Africa (FDA) (NPC), a non-membership, private, (NPC) Not-for-profit Company actively involved with initiating and facilitating business and other processes conducive to sustainable development in Africa – with the emphasis on sustainability! From 1999 to 2003 Peter was an active participant to the Advisory Board for the OECD-NEPAD – Africa Investment Initiative for Growth and Development, where he endeavoured to contribute on behalf of the People of Africa. 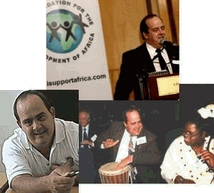 In 2003 Peter received an award from the Minister of Social Development South Africa, Dr. Zola Skweyiya, for his contribution towards Corporate Social Investment. Peter’s broad expertise has made him a well-known personality in Africa. His numerous television, radio and print media interviews as well as the number of high level conferences and events he has addressed, testifies to the respect he commands in the field of Africa affairs. Peter is the Founder and currently the Chairman of The Foundation for the Development of Africa (FDA) (NPC) and is regarded as an expert on issues effecting sustainable development (including business) throughout Africa. As Project Quality Assurance Engineer, during the construction of a number of coal-driven power stations in South Africa (1970/80’s), Peter was exposed to most trades and professions within the construction industry. This exposure was enhanced when Peter had to develop quality monitoring procedures used in the construction process. Furthermore Peter designed quality procedures to be used in monitoring the construction processes of subsidised, low-cost housing resulted in Peter being requested to assist with the relocation of the Ga-Pila community in the Limpopo Province. This massive relocation project, due to Anglo Platinum mining expansion, provided Peter with unparallel expertise leading to successfully completing an intensive training session on Local Government Assessment at the CSIR – Pretoria in 1998. Peter now holds a title as an Accredited Assessor for the South African Business Excellence Foundation. This knowledge he now shares with others.